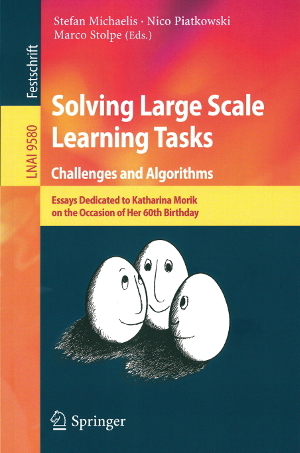 In celebration of Prof. Dr. Moriks 60th birthday, the Festschrift ''Solving Large Scale Learning Tasks'' covers research areas and researchers Katharina Morik worked with. This Festschrift has now been published at the Springer series on Lecture Notes in Artificial Intelligence. 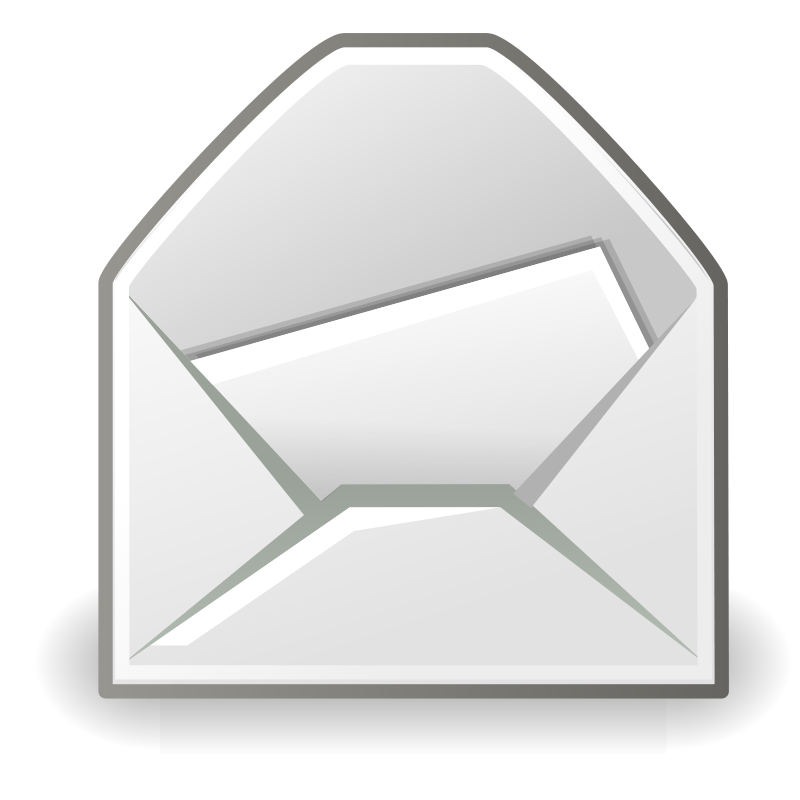 Official presentation of the Festschrift will be on 20th of October at auditorium E23 at Otto-Hahn-Str. 14 starting 16.15 o’clock. Articles in this Festschrift volume provide challenges and solutions from theoreticians and practitioners on data preprocessing, modeling, learning and evaluation. 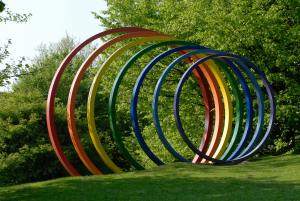 Topics include data mining and machine learning algorithms, feature selection and creation, optimization as well as efficiency of energy and communication. Talks for the presentation of the Festschrift are: Bart Goethals: k-Morik: Mining Patterns to Classify Cartified Images of Katharina, Arno Siebes: Sharing Data with Guaranteed Privacy, Nico Piatkowski: Compressible Reparametrization of Time-Variant Linear Dynamical Systems and Marco Stolpe: Distributed Support Vector Machines: An Overview.